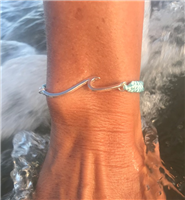 Explore the beauty and serenity of the sea through our nautical bracelets and fishing bracelets from Gone Costal Jewelry. 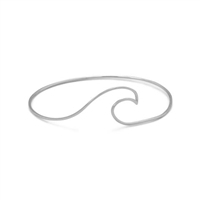 Our bracelets feature one-of-a-kind designs that fully embody the sea. Our collection combines blue ocean shades with natural tones. 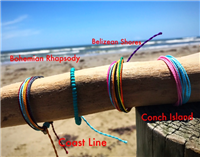 Our designs also feature nautical symbols, including anchors, skulls and dolphins. We use the finest craftsmanship and materials to bring you our beautiful designs. 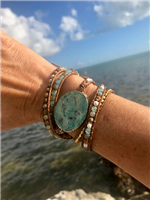 Our jewelry contains sterling silver, gold and/or natural stones. 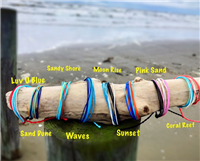 You can browse our large selection of bracelets and other nautical jewelry by subcategory. 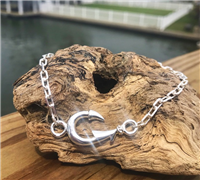 If you have any questions about our products or need help placing an order, please contact us here or call 713-927-1193 during our business hours. 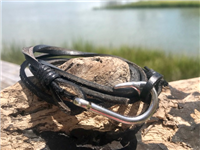 Leather Hook Bracelet Leather Anchor Bracelet Redfish, Speckled Trout and Hook Bracelet.